BBQ Lesson Number 1: Perfect ribs shouldn’t fall off the bone, there should be a little give when pulling the meat off the bone. 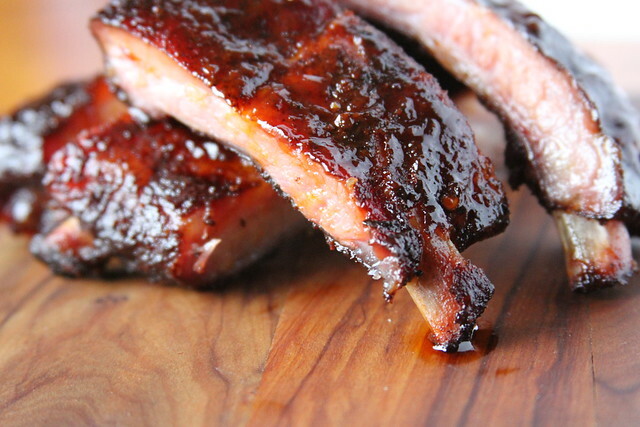 We’ve made ribs before, but we made them in the oven. And while they were delicious and fell off the bone, they were almost too tender for ribs, there needs to be some texture. 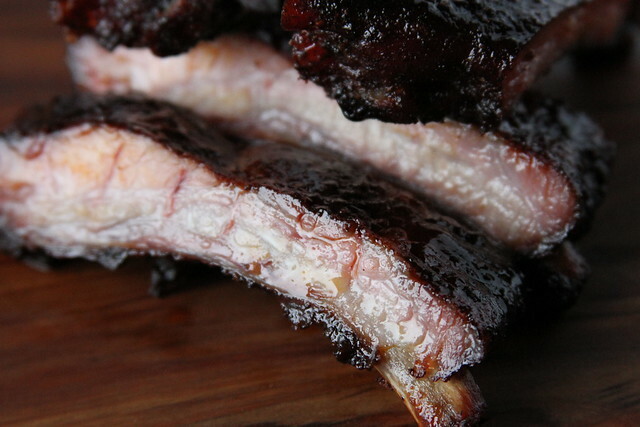 In our (not so) humble opinion, smoked ribs are the best. The slow and low smoke of Pecan/Maple/Mesquite/Hickory wood, is the best! 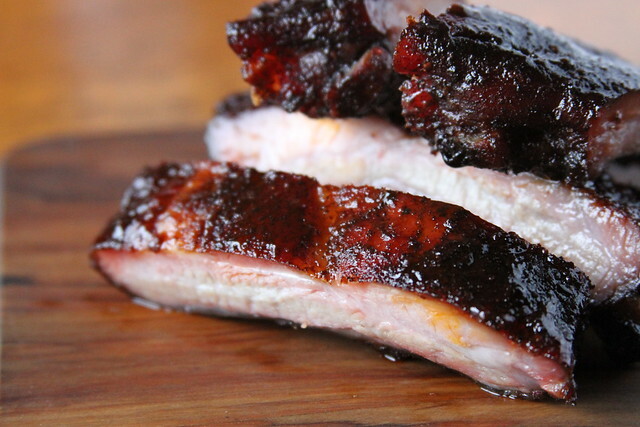 We like Baby Back Ribs, but you can use St. Louis Style too. While a lot of people think BBQ is about the sauce, it’s actually about the meat, and you want to let the meat to shine through. The sauce is like a light jacket, just keeping the ribs warm. 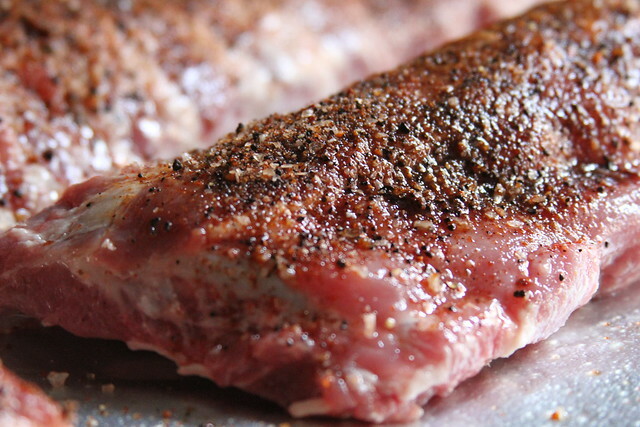 This recipe is actually a two in one, the first part is for what we think, is the best rib rub. It’s sweet, it’s spicy, it’s full of flavor and will make your mouth water. And the second is for smoked Baby Back Ribs. 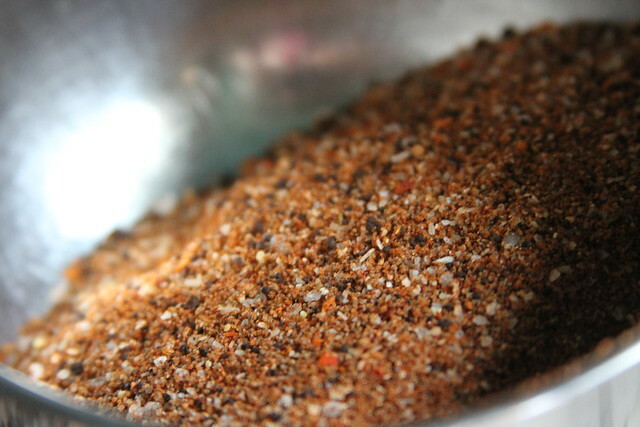 This rib rub isn’t just for ribs, it can me used on any meat of your choosing, but for today, and the rest of the weekend, it’s going to be used on pork! 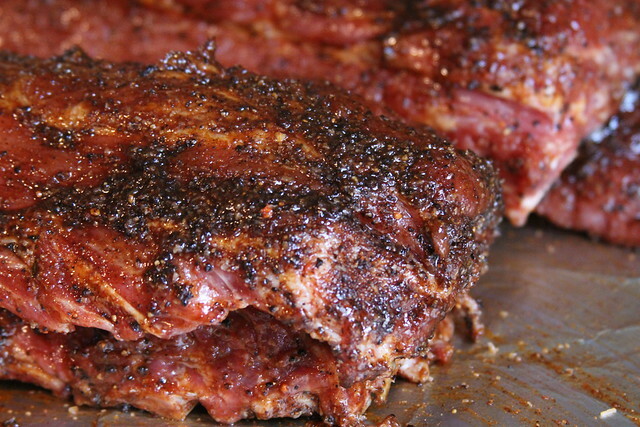 This is the perfect Fourth of July BBQ recipe, because you can put it in the smoker, and leave it! Very little work, and the results are MAGICAL. Step 1: In a bowl, mix together all the ingredients. Use as at least ¼ of a cup per rack of rib. Season liberally. For Smoked Ribs: Season the ribs, using the dry rub and a little bit of apple cider vinegar to help the mixture stay on the ribs. 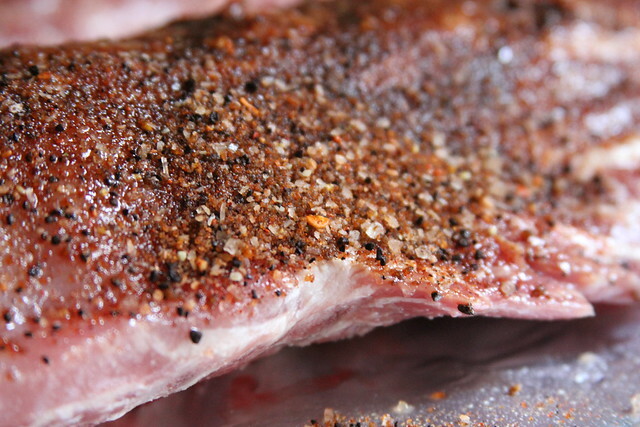 Allow the ribs to “marinate” for a minimum of six hours, for best results, we suggest overnight. Set you smoker to the lowest setting (we use an electric smoker) allow to heat up for five minutes. Place the ribs on the grill for four to five hours. 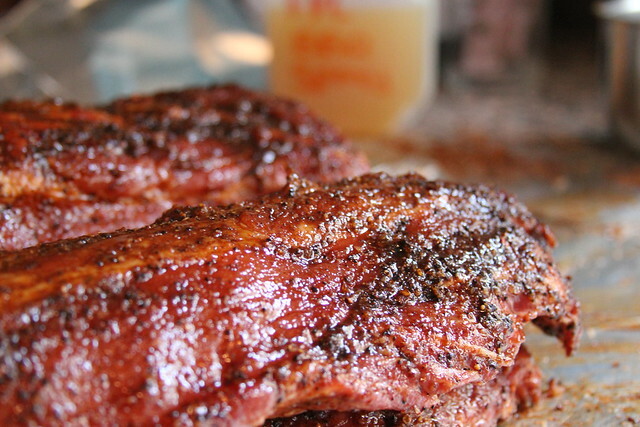 Periodically, spray the ribs with pineapple or apple juice. Remove the ribs from the grill and place in foil, brush lightly with your favorite BBQ sauce (about ½ cup). 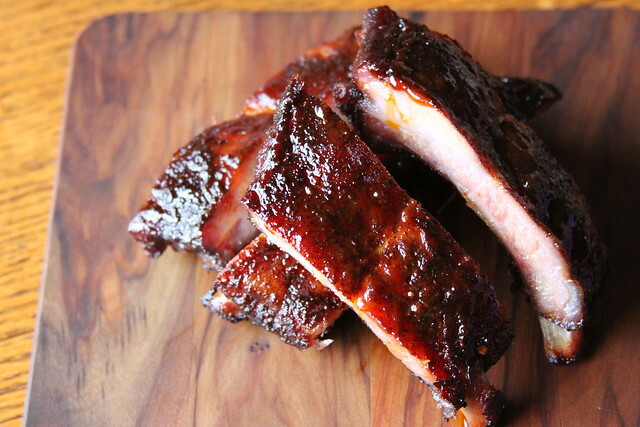 Increase the temperature of your smoker or oven to 350°F and finish the ribs off for another 40 minutes. 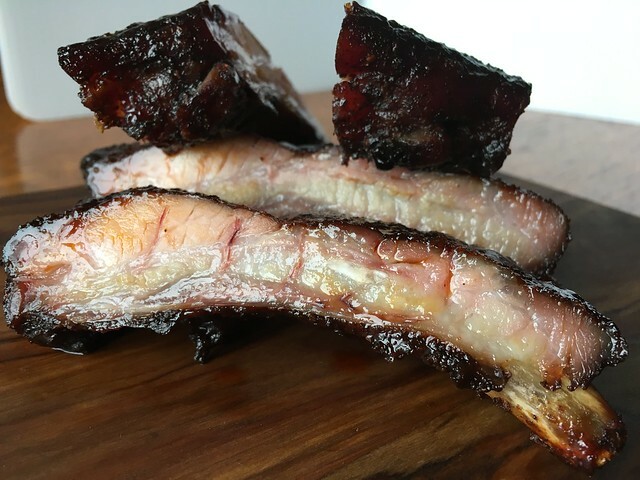 According to the FDA pork ribs are “done” when they reach 145°F internally, but we like to get ours to 190°F–203°F for perfect ribs. 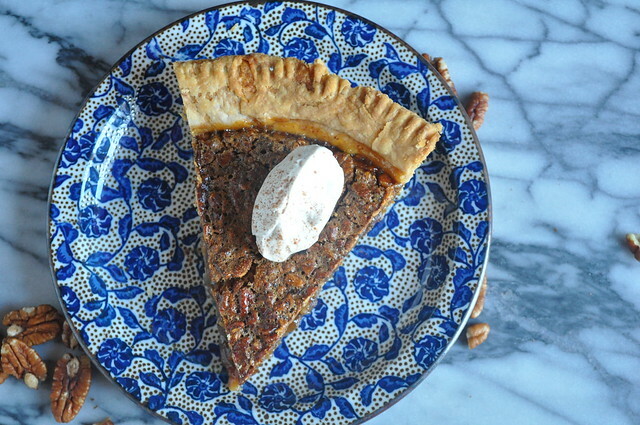 Okay, so we totally flaked and missed the most important day of the year, Pi(e)Day, but have no fear we have the most amazing and perfect Pecan Pie recipe to make up for it. Now normally, most food blogs would reserve this recipe for Fall/Thanksgiving but here at TYL we love to mix it up and we like comfort foods all year long. And we LOVE pie. Pie should really be it’s own food group, big pies, small pies, fruit pies, savory pies, pot pies, chocolate pies, whipped pies, creme pies, nut pies, hand pies, even quiche(the clothing optional pie)! And we’re sorry we haven’t posted more pie recipes, but the year is still young, so give us time. But until then, lets talk about Pecan Pie. 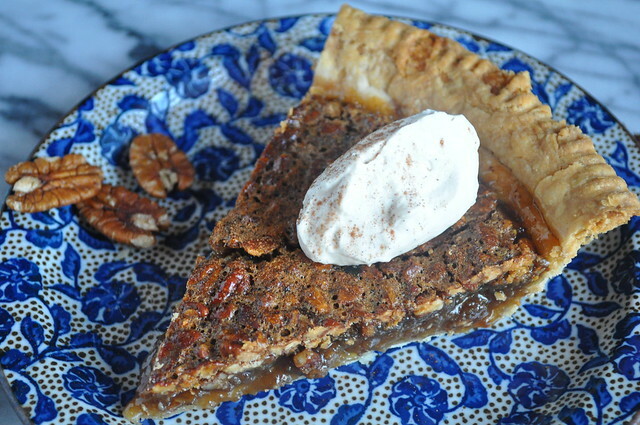 Pecan Pie is a pie staple. 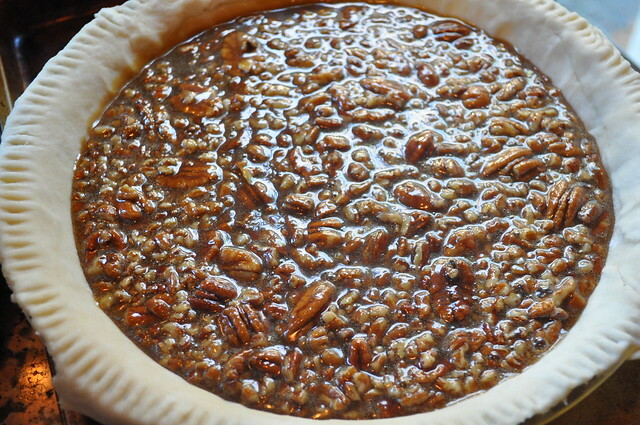 For most, Pecan Pie is a Southern Staple, but did you know that people believe Pecan Pie originated when the French moved from France to New Orleans and were introduced to the Pecan Nut by Native Americans. 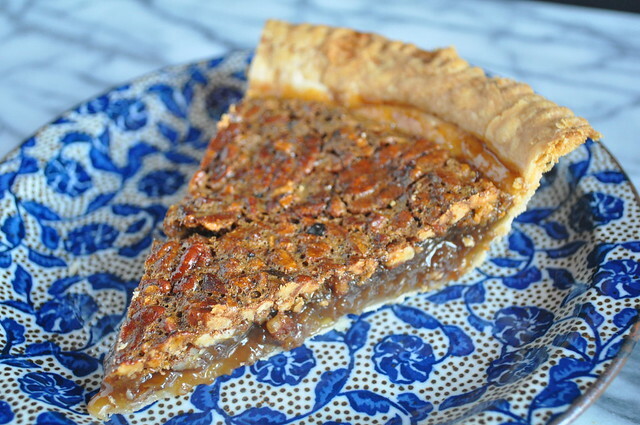 Pecan Pie is similar to a Chess Pie which is also a butter, sugar, egg-custard based pie. 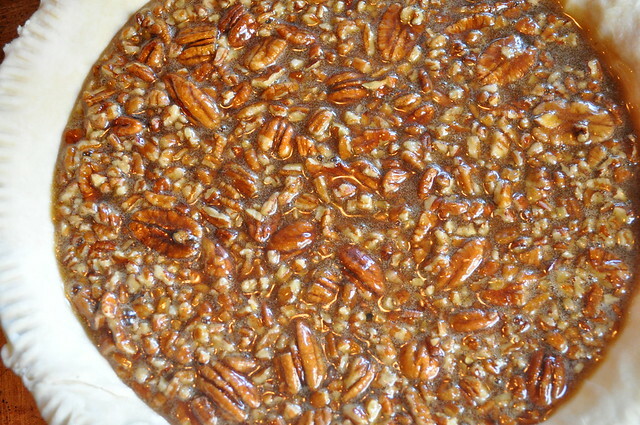 There are some reports, that have Pecan Pie type recipes as early as the 1800’s, but it’s hard to prove. It wasn’t until the 40’s when the Joy of Cooking finally included the recipe in one of it’s cookbooks. Pecan Pie is known for being gooey, ooey, and delicious. Sometimes coyling sweet, but if done right, Pecan Pie is the perfect ending to any meal (or beginning if you swing that way) and the trick to keeping your Pecan Pie together? Cornstarch. 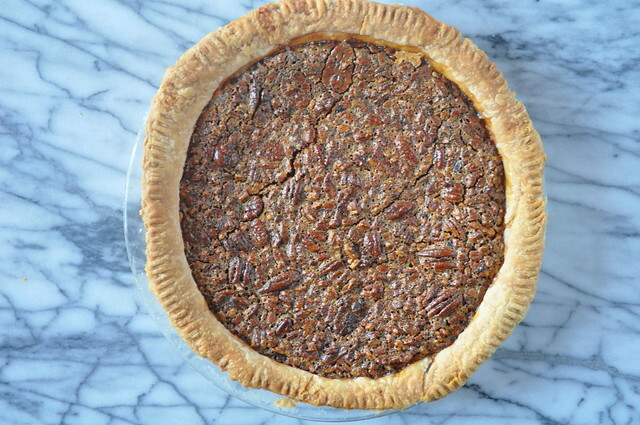 A little cornstarch goes a long way in keeping the shape of your Pecan Pie. 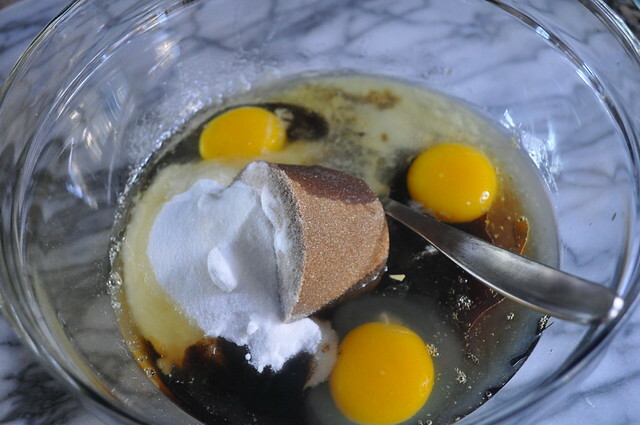 In a medium bowl, mix together corn syrup, eggs, sugars, and extracts. Mix well and set aside. 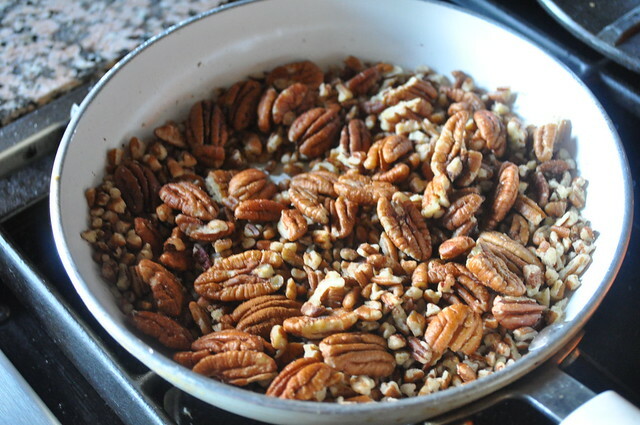 Place the pecans in a sauté pan. Toast them over medium heat for one to two minutes, but be careful not to burn them. If you want, you can lightly sprinkle them with cinnamon for extra added flavor. Next, carefully chop the nuts. You just want to roughly chop them so you still have chunks of pecans. Toss the pecans with the corn starch. This will really help the pie solidify, and not be runny. Add the chopped pecans to the corn syrup mixture. 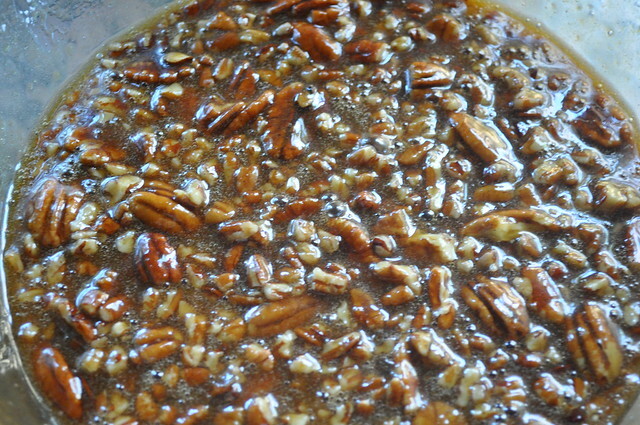 Mix until the pecan are fully incorporated. Pour the mixture into the prepared pie shell. Bake the pie for 65 to 70 minutes. Remove from the oven and cool on a wire rack completely! This is important. As much as we all want delicious warm pie, a pecan pie is best served completely cool and by doing this will make it so much easier to cut! Like our recipes? Don’t forget to subscribe, share, and like. 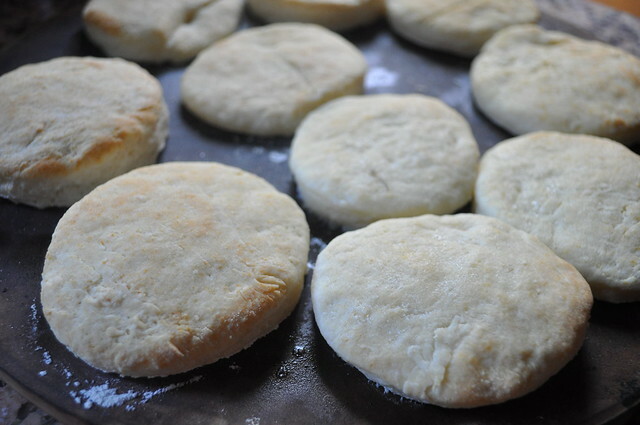 A couple of weeks ago we posted a recipe for Easy Homemade Biscuit. 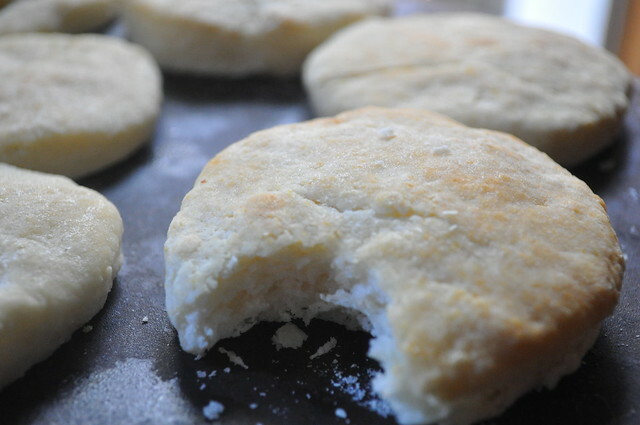 After making them, we realized, what could we do with all these tasty biscuits? 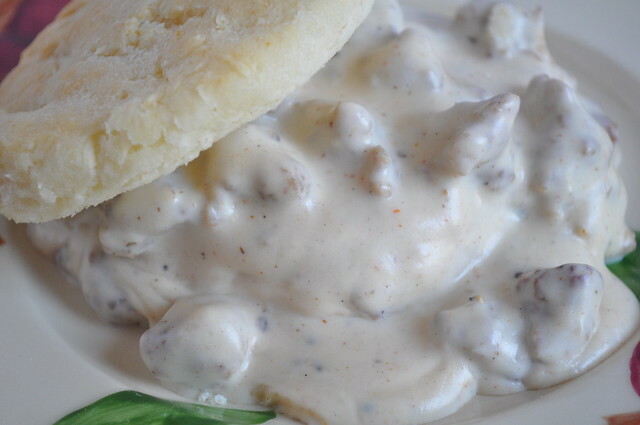 Make sausage gravy of course. 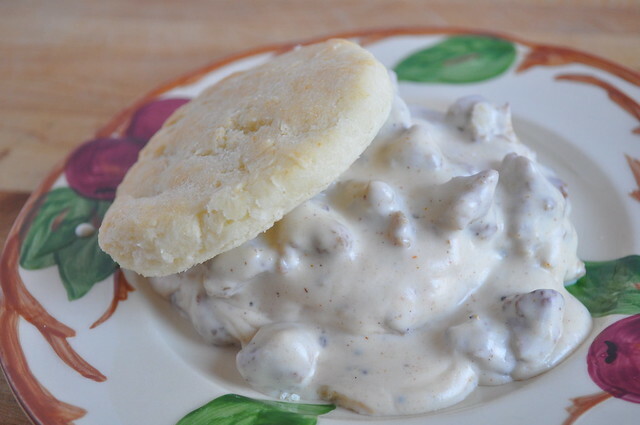 Making sausage gravy is super simple, all you really need is sausage, milk, and flour. We of course added a couple of other things to really give the gravy a little bit more depth of flavor. Using your fingers, break the sausage into bite sized pieces. Using a cast iron skillet, brown the sausage over a medium-high heat until the sausage is no longer pink. Lower the heat to medium-low, slowly sprinkle about half the flour mixture on the sausage and allow it to absorb, then add a little bit more. Stir and allow to cook for another minute (or two). Over low heat, slowly pour in the milk and stir constantly until combined. Cook the gravy over medium-low heat, stir constantly until it thickens. At this point stir in the season salt, cayenne pepper, and black pepper. It’s okay if it gets too thick, just add a splash of milk or water. Taste the gravy and adjust the seasoning to your liking. 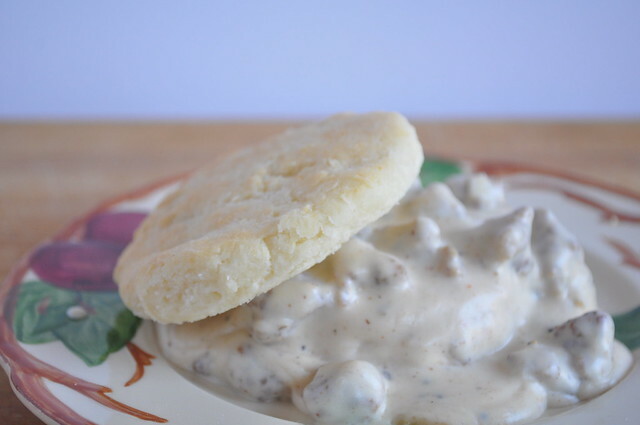 Serve the gravy with warm biscuits and enjoy! 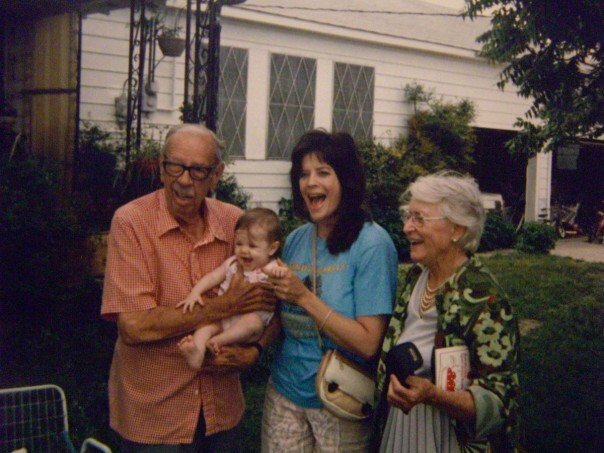 Here’s Grandpa Parrish (Marlee’s Grandpa) who loved his biscuits and sausage gravy.